Not sure how we missed this one when it came out in 2004, but glad we found it on the band's latest tour. The press materials accompanying this release describe it as Florida swamp blues. Hailing from neither swamp nor Florida, your loyal correspondent can only say the music here is a wonderfully charming bit of mostly acoustic roots music with a groove somewhere between Delta blues and deep gospel. Guitars, Dobros, harmonicas, organ and more come together in a slowly simmering stew that reminds, more than anything, of the little known but deeply intriguing 1994 Little Axe (Skip McDonald) album "The Wolf That House Built," which fused modern urban rhythms with traditional acoustic blues. The vocals by JJ Grey (who also wrote all the songs) are as intense as a young Greg Allman's; Daryl Hance's slide guitar bites like Buddy Guy's. Old-school cats for comparison, to be sure  but there is a certain '60s sensibility at work here. A looseness of feel, perhaps, or a kind of a hippie vibe. Maybe it's just the sense of possibility arising from the loosening of any real stylistic restrictions: that the music can be whatever they want it to be. 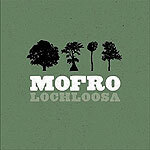 Whatever it is giving this album its sense of magic, the combination of strong songs, stellar playing and rousing spirit makes "Lochloosa" one of those rare discs that never quite leaves your CD player.